With St. Patrick’s Day approaching, we’re publishing another recipe that’s perfect for your organic food feast. Clyde’s of Georgetown, winner of the Wine Spectator 2005 Award of Excellence, changes its menu each day, based on the availability of fresh, seasonal produce. Executive Chef Jeff Eng prepares this unique Brussels Sprout Hash, which he serves with his Red Wine & Juniper Marinated Venison with Bacon and a sweet potato puree. 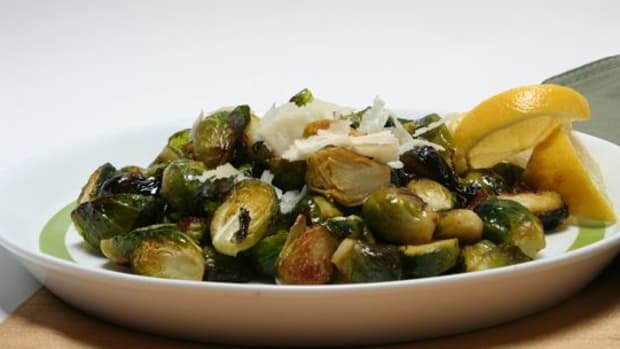 Julienne the Brussels sprouts and onion. Chop the garlic. Sauté the bacon over a medium heat until crisp. Add the olive oil, onion and garlic to the same pan. Continue cooking until onions are soft. Add Brussels sprouts and butter to the pan. Season with salt and pepper. 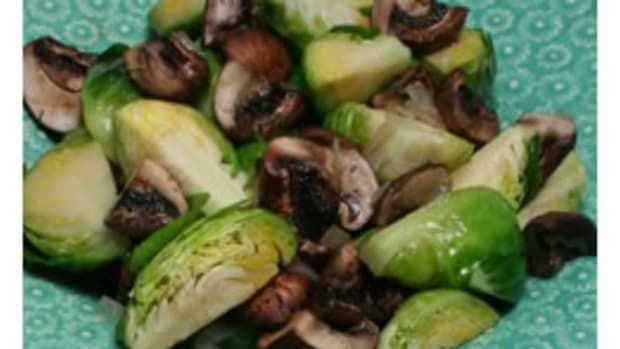 Serve as soon as the Brussels sprouts are tender.